Just starting out in college? Or looking for a change of job? If you want to become a Web Developer in 2018, there are a ton of resources for you to get started. Becoming a web developer in 2018 is not difficult if you’ve got the right mindset and creativity. We provide you with a roadmap to becoming an efficient web developer from start. Try to use this map to start off in the right direction. There is no need to stick to this plan. Explore your own interests as well. These are all important to get you started in any kind of development. Once you learned all these then we can move onto the next part. Now there are two ways from here. The Front-End and the Back-End. The front-end deals with the client side code, the UI and UX. And the basic structure and design. The back-end is what keeps the site up and running. It deals with the server side code and the basic logic and functionalities of the application. These two are the very foundation of front-end web development. All the layouts, fonts, colors, images are made using these two languages. It doesn’t matter if you are a front-end or a back-end developer. A web developer should be familiar with these two languages and their basic techniques. 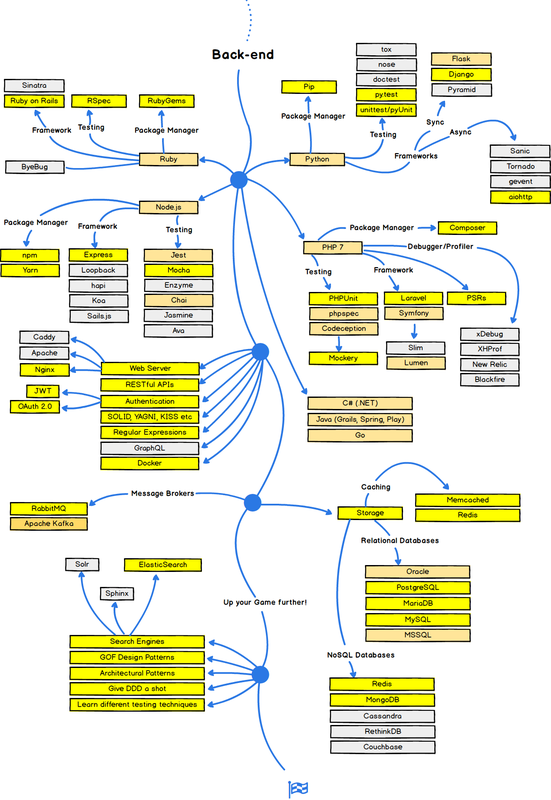 Node JS’s package system, the npm, is the largest ecosystem of open source predefined libraries. Ruby is often termed as a beautiful, artful language by the developers. It gained mass acceptance in 2005 after being in the industry for almost a decade. This language extracts away most of the complex requests for the developers. The increased popularity in Node JS, made the Ruby community diminish but due to the easy of prototyping with Ruby, it is still tech startups’ favorite language. PHP is an acronym for Hypertext Preprocessor and is a veteran server-side programming languages. Most of the websites today, are running on PHP. Its ease of communication with databases such as MySQL is one of the reasons for its popularity. PHP functions across all OS platforms. 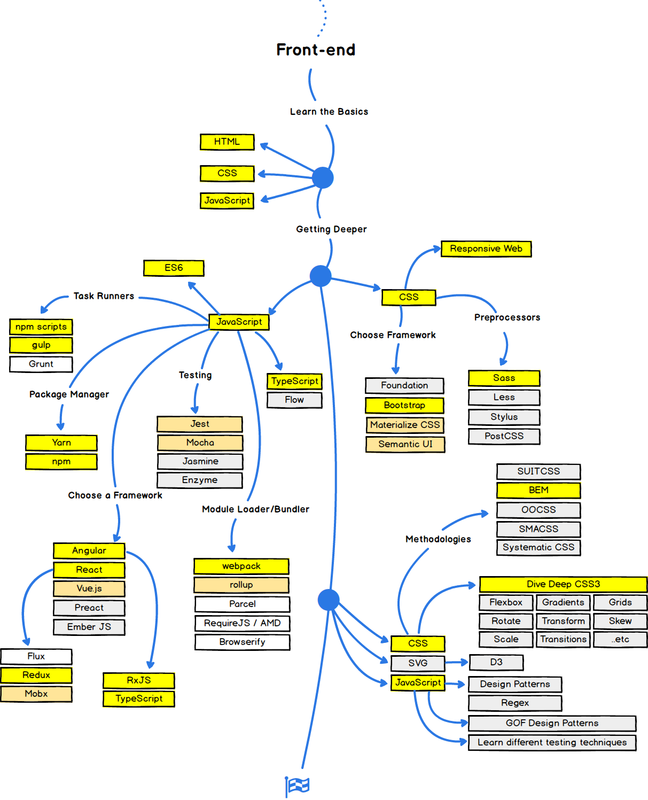 PHP has one of the biggest communities online and has an easy to use the framework. This makes it easy to learn for the beginners and learn the language easily. Now that you have gone through the article, you have a basic idea on how to get started towards web development. Although it is not an easy journey, you have this exclusive roadmap to help you tremendously through it. This article is not a must-follow but summarises your path. Good Luck on the journey and happy coding!